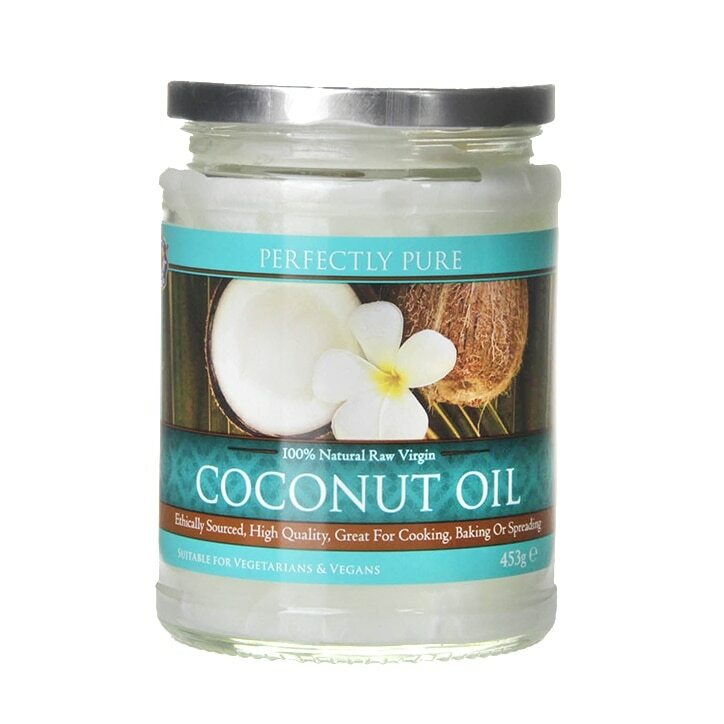 Holland & Barrett's High Quality Perfectly Pure Extra Virgin Coconut Oil captures the sweet scent and unique taste of coconuts in a useful, versatile oil. Coconut oil is composed of saturated fats, most of which are Medium Chain Fatty Acids (MCFAs). Made from cold-pressed coconuts to produce 100% natural, raw, virgin coconut oil which is pure enough to eat - and tastes great, too! Use one tablespoon or as directed by a healthcare practitioner. Can be used as a substitute for other oils, including butter. Use in cooking, baking, as a spread or in smoothies. No Artificial Colours, Flavours or Sweeteners. No Preservatives. No added Sugar or Salt. No Starch, No Milk, No Lactose, No Soya, No Gluten, No Wheat, No Yeast, No Fish, No Porcine. Food supplements must not be used as a substitute for a varied and balanced diet and a healthy lifestyle. If you are pregnant, breastfeeding or taking any medications, please consult a doctor before use. Discontinue use and consult a doctor if adverse reactions occur. Not intended for use by persons under the age of 18. Keep out of reach of children. Store in a cool, dry place. Do not use if seal under cap is broken or missing. Remember to always read the label. 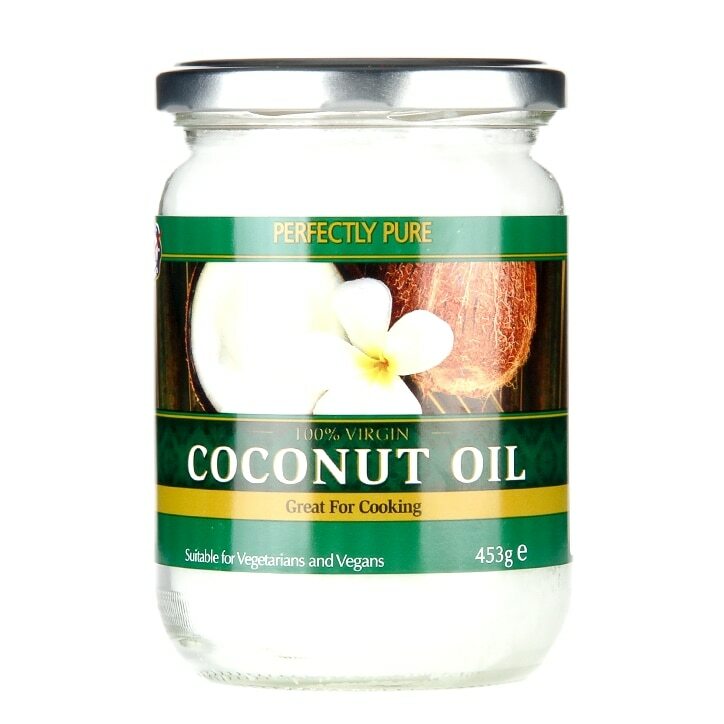 Is the Perfectly Pure Coconut Oil extra virgin, cold pressed and organic? Perfectly Pure Coconut Oil is both extra virgin and cold pressed; however, it is not an organic product. Perfectly Pure Extra Virgin Pure Coconut Oil is rated 4.8 out of 5 by 493.